Officials at Mudgee Race Club will need to start stocking up on supplies – and cash – for next Saturday’s Gooree Cup race meeting. Local trainer Cameron Crockett is confident supporters will go home with plenty and intends to nominate up to seven runners, each possessing strong claims. The livewire 31-year-old was especially keen to speak about the prospects of Andy’s a Star, Velaro, Ricci Royal and Ori On Fire. Andy’s a Star could well live up to his name when he tackles the $20,000 Class 3 Handicap (1400m). The three-year-old made an impressive debut with a slashing victory at Dubbo (1100m) after a torrid run. “His win was amazing,” Crockett said. “He was four and five deep with no cover the entire race. “In the straight he wanted to hang in, then hang out and did everything possible to beat himself, yet he still jumped out of the ground late to win. 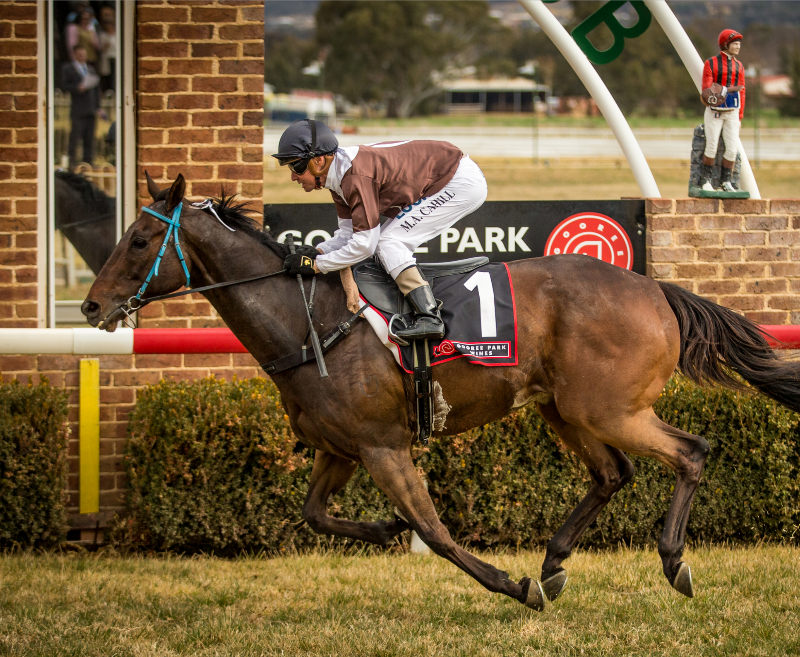 Velaro has only raced on five occasions and was having his first run for five months in a Coonabarabran maiden (1400m) on April 28, when he streeted his rivals by more than four lengths. The three-year-old will compete in the $20,000 Benchmark 55 Handicap (2000m). Ricci Royal will be starting in the $20,000 Benchmark 70 Handicap (1200m) having also resumed from a five-month break, finishing just behind the placegetters at Dubbo (1100m) last Sunday. MRC’s secretary-manager, Colleen Walker, said: “We are going to break all records with Gooree Wines flowing and the Gooree VIP area nearly booked out already. Everyone up here is so excited about the day and we are looking forward to entertaining a lot of visitors to the area.